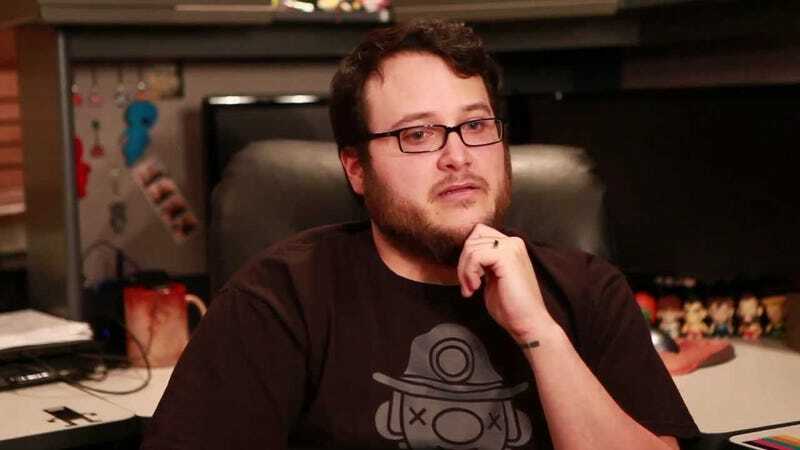 It turns out that Edmund McMillen will not in fact spend the rest of his life making expansions for 2011's macabre roguelike, The Binding of Isaac. In a post describing the latest fan mods to be added to the official version, McMillen said he and programmer Tyler Glaiel have spent three months in crunch time preparing for the reveal of their new game. After the release of Super Meat Boy, McMillen has focused most of his time on meticulously updating and expanding The Binding of Isaac, occasionally releasing small side-projects and teasing other possible with no clear indication of what his next big undertaking would be. He’s still cagey in this latest post but confirmed the game he’s teasing hasn’t been talked about before. “i dont want to spoil the fun yet but i can say this its hard, its weird, its personal, its has amazing controls, its a totally new unannounced IP and its easily one of the largest games ive ever made level wise,” he wrote. That means it’s unlikely to be The Legend of Bum-bo or Øuroboros, two other previously revealed games, and will be a clear break from the Super Meat Boy and The Binding of Isaac universes McMillen’s brought to life through his unique art style and penchant for brutal twitch gameplay. Meanwhile, Afterbirth+, which was most recently released on the Nintendo Switch and is already one of the best games you can get on that console, is still going strong with another update that adds new items and objects created by fans to the game proper. 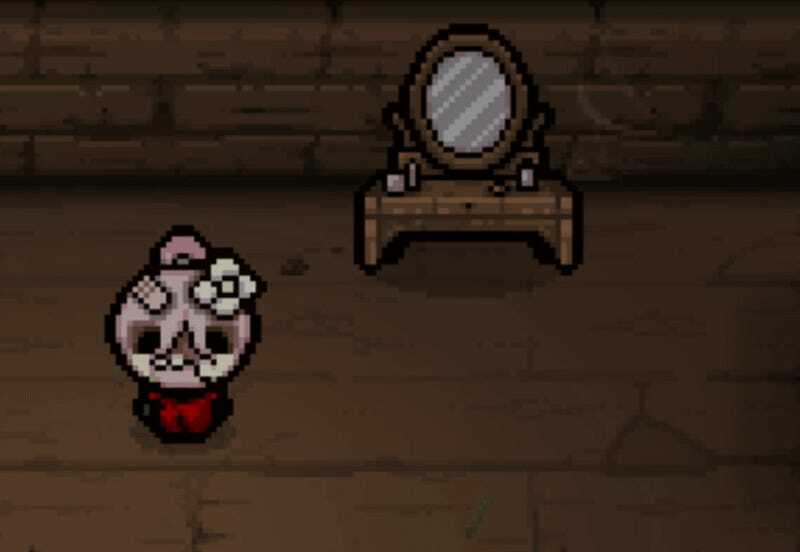 Like the last batch, which included Magic the Gathering cards, the second “Booster” pack even more weird stuff like electric tears, golden bombs, and a dressing table to change Isaac’s appearance. Despite working hard on his next game, McMillen said Afterbirth+ players can continue to expect even more mod booster packs to be added to the game in the coming months.